(510) 469-8979 - Call or Text! Sycamore Realty Group Gives Back! The housing market is front page news all across the country. As a complimentary service, you will receive vital up-to-date real estate information once a month. The main benefit to VA financing is that it is the only loan program that lends up to 100% of the purchase price for any qualified veteran buyer! The main benefit to the Seller is that the VA lending guidelines are not based on Debit to Income ratios like any other loan, instead based on net disposable income. This allows for a much easier loan approval for formal underwriting purposes, which translates to higher approval rate than any other loan program today! 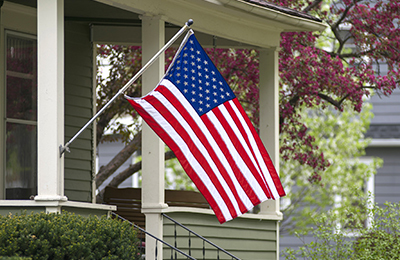 I have experience in working with Veterans in securing their dream home! It would be my honor to be of service to you or those you know! This entry was posted in VA Home Buyers. Bookmark the permalink. I love the real estate sales and services profession! My real estate career began as a Realtor with Prudential California Realty, Coldwell Banker, and Watermark Properties. All great companies, where I learned tremendously with each unique opportunity. It was a natural progression for me to move forward to the next level of customer service as real estate broker. What Is A Short Sale? Comments Off on What Is A Short Sale?